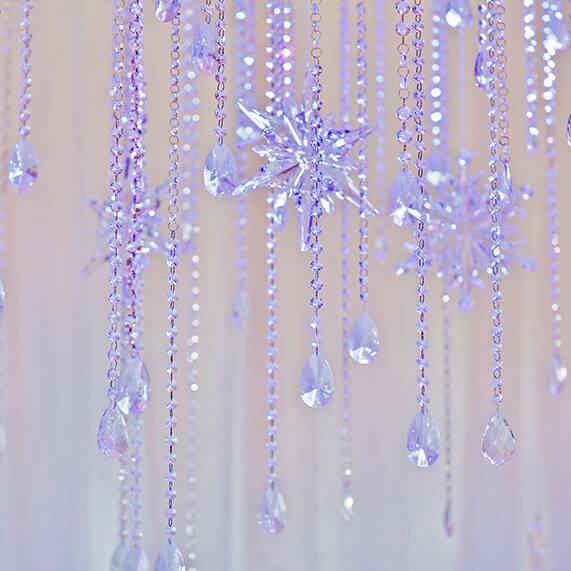 I think I've watched Frozen about 36 times with my boys- they can't seem to get enough of Olaf, the musical scores and the incredible storyline that is Disney Frozen. 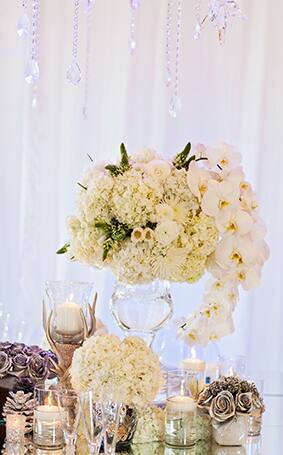 I've been dying to use the film as inspiration for a romantic wedding reception since I first saw it in theaters- and I just couldn't seem to "Let It Go". 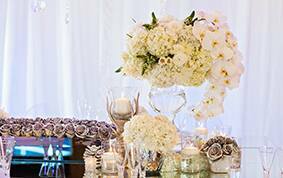 Our Disneyland florist created Arendelle-inspired centerpieces utilizing cascading white orchids (a much warmer alternative to snow! 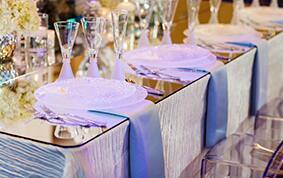 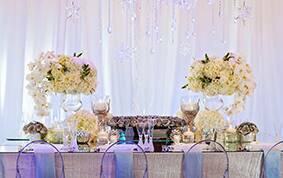 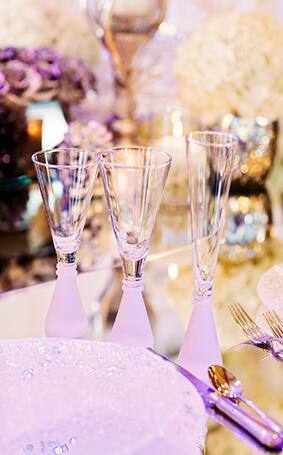 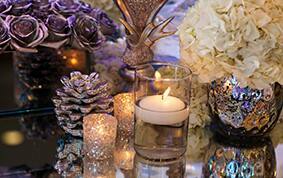 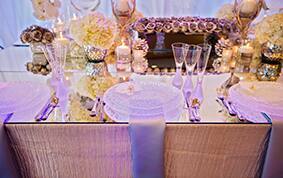 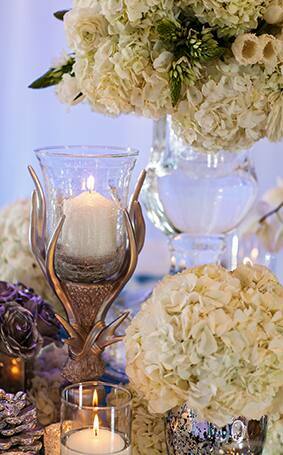 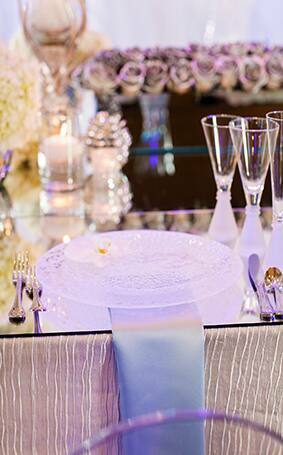 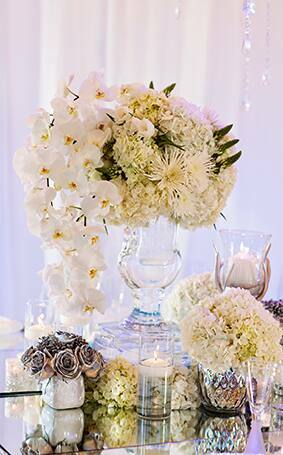 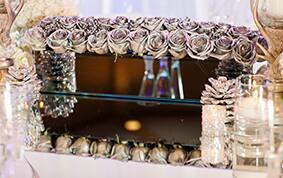 ), spray-painted metallic roses and vases made of real...yes, real...ice. 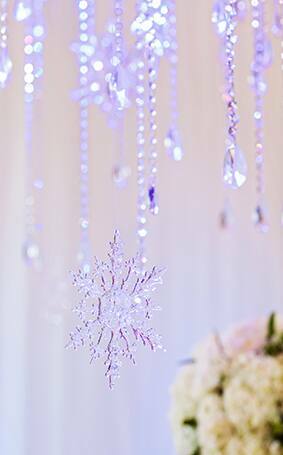 In addition, the snowflake ornaments, glass tableware and mirrored urns gave the appearance of a new winter frost that even Queen Elsa would approve of. 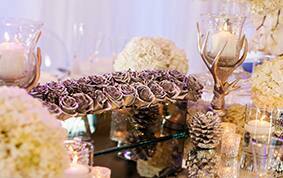 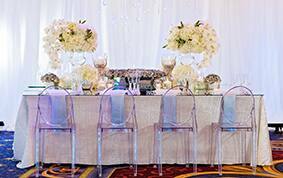 Rustic reindeer candleholders served as a subtle nod to the lovable Sven and rounded out this stylish, modern reception.